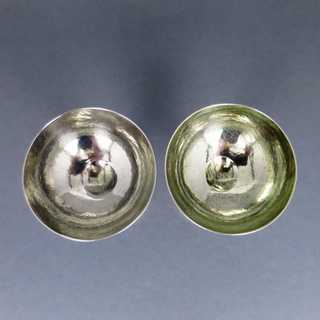 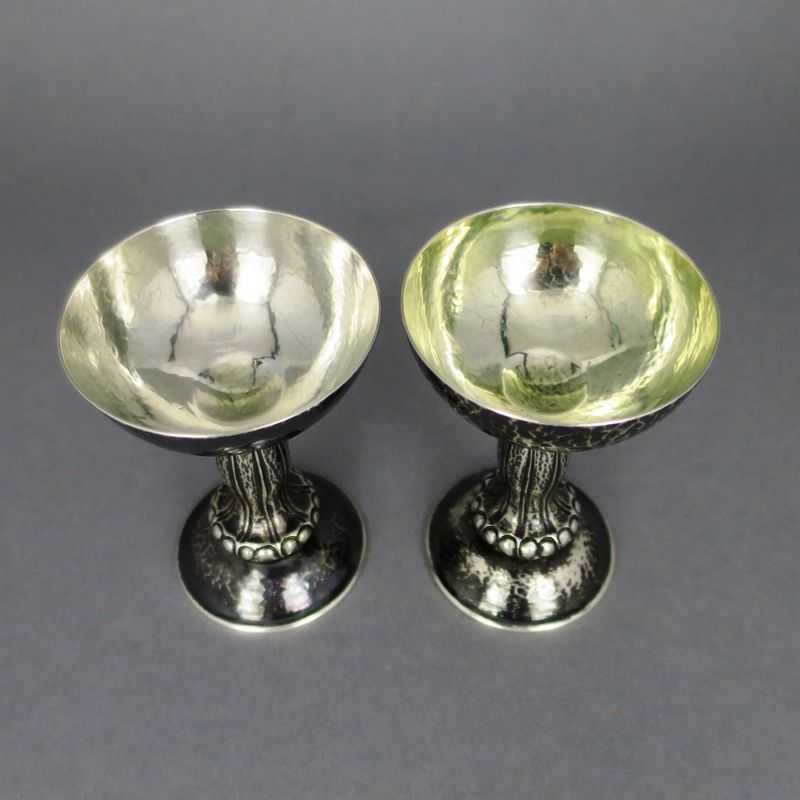 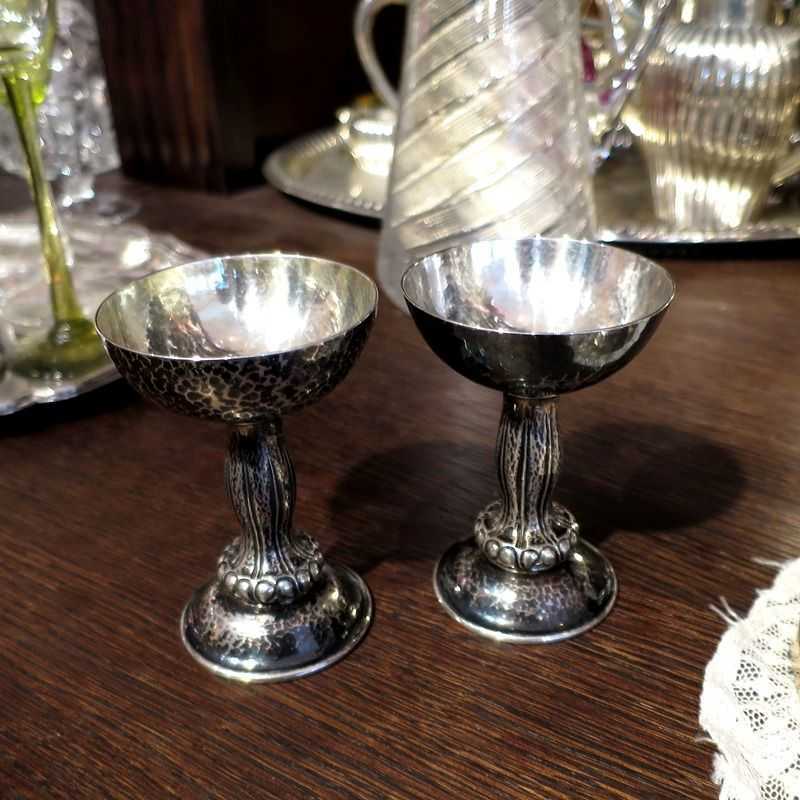 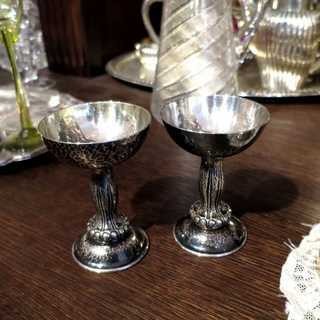 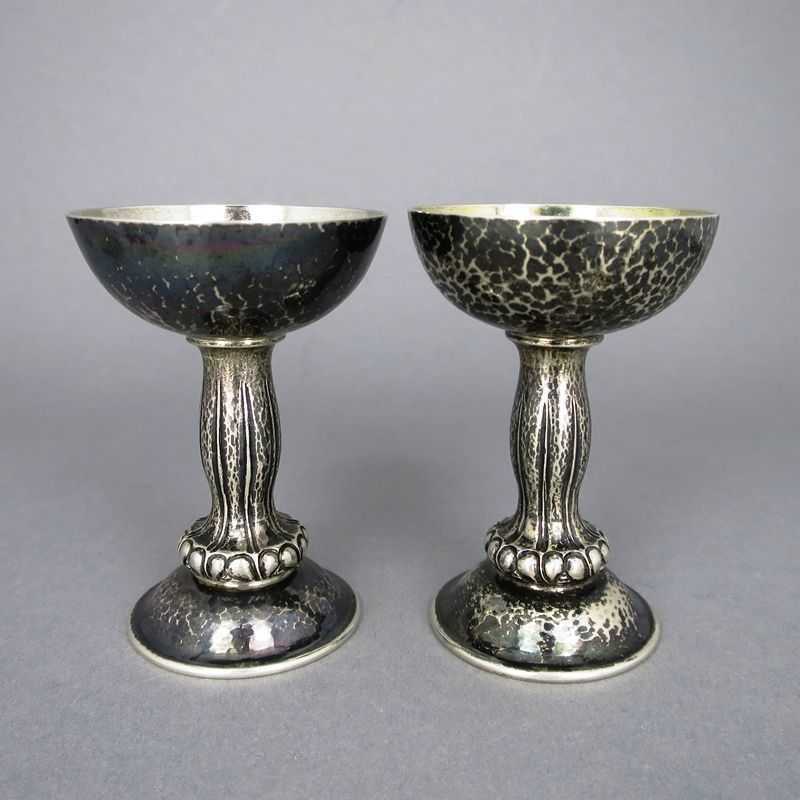 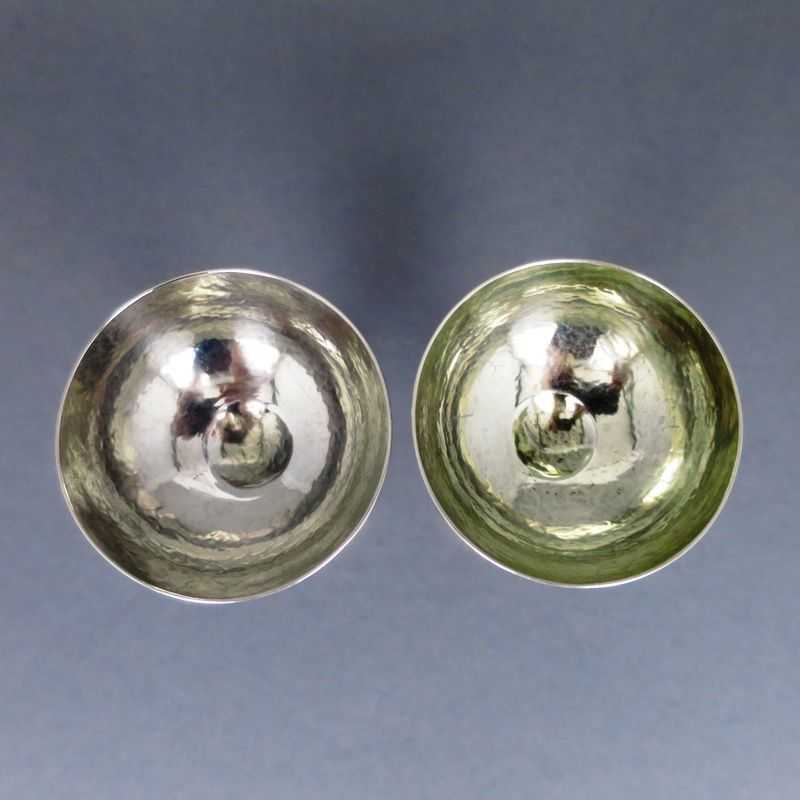 Two rare liqueur bowls in the Art Deco design. 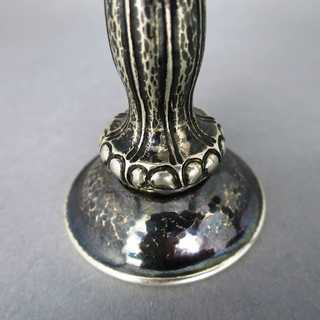 Domed round foot, shaft with bulging base and lengthwise contoured surface, semispherical bowl. 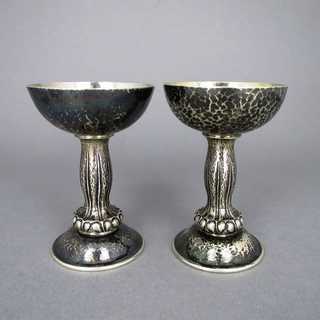 The whole body is hand hammered, the outer wall is decorative oxidized; one bowl is inside gold plated. 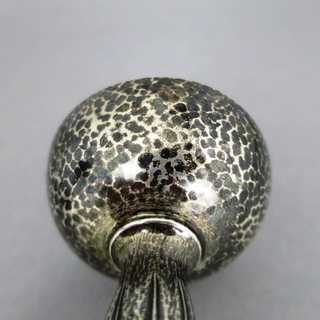 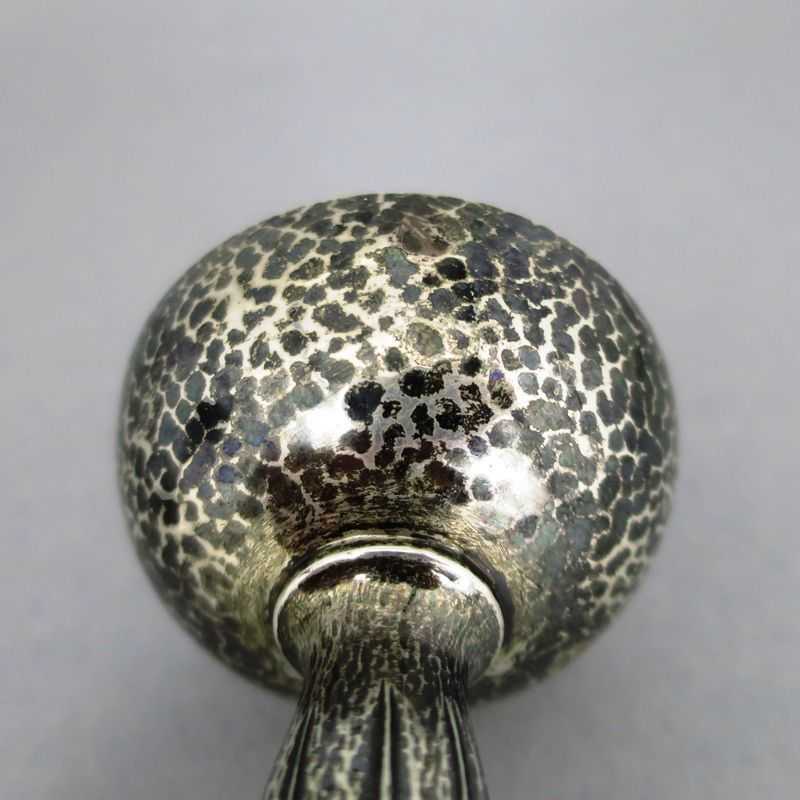 Marked, designed and made in the atelier of the famous jewish silversmiths Moses Tobias Wetzlar in Munich/Germany, about 1925. 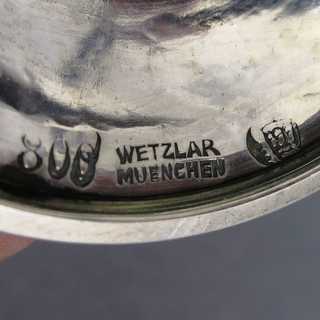 I have read the terms and conditions.